When we strip away the modern association of St George from the more unsavoury elements of unthinking nationalism, it soon becomes clear that the illustrious saint has lost none of his timeless appeal in the hearts and minds of millions of people throughout the world. Wherever we travel, from the troubled lands of the Middle East to the remote regions of Russia and Central Europe, we find that he is still honoured as one of the timeless spiritual guides of humanity. He also presides over the great historical institutions like a guiding light, with his chapels and churches located at the very centres of power. Why, we may find ourselves asking, does this alleged Roman soldier martyred for his beliefs right at the beginning of the Christian era still exert such a powerful influence, especially as in 1969 the Vatican demoted him to the rather undignified status of a minor local saint? 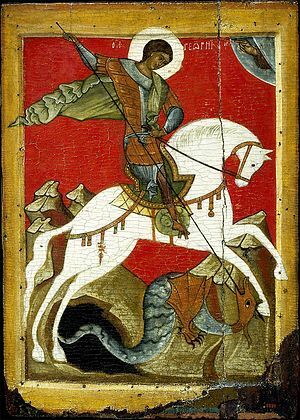 The truth is that the long and glorious career of St George has been the target of a campaign of Church propaganda since the very beginning. Close examination of the available records can only lead to the conclusion that the Roman general who is said to have died for his Christian beliefs is unlikely to have ever existed, at least with the name George. Eusebius, the generally reliable chronicler and Bishop of Caeseria in whose province the martyrdom occurred, never even mentions him. It is only when that arch-manipulator Constantine the Great begins to rewrite history at the various councils of the early fourth century that George surfaces as a suitably heroic figure to lead the Holy War against paganism. In Constantine’s New World Order the political and military need to create a state religion was imperative; the very existence of the Roman Empire was at stake. When we begin to look at some of the other elements of the George myth a completely different picture begins to emerge. One of the most telling clues to the genuine mystery behind the George phenomenon is in the name itself. The word begins and ends with the root Ge. This is one of the oldest words known, occurring in Sumerian, Egyptian, Greek and Indo-European languages. It means Earth. Everyday words still in common use such as Ge-ology or Ge-ography show how persistent this root has been over at least the last six thousand years. The etymology of George thus appears to show that he may originally have been an Earth-God connected with fertility, whose widespread worship in the ancient world was absorbed by Constantine’s attempts to make early Christianity into an all-inclusive religion that would become a vehicle for Roman bureaucracy. To reinforce this view the Greek translation of the name means ‘Earth-worker’ or ‘Tiller of the soil’. What has this got to do with a martyred soldier? 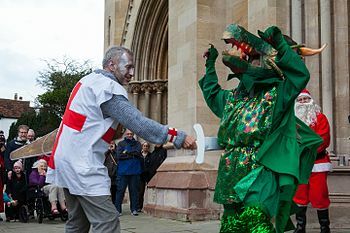 The widespread appearance of St George in Mayday and other springtime folk rituals also appears to show that he was the presiding spirit of such festivities that have their roots in pre-Christian times. 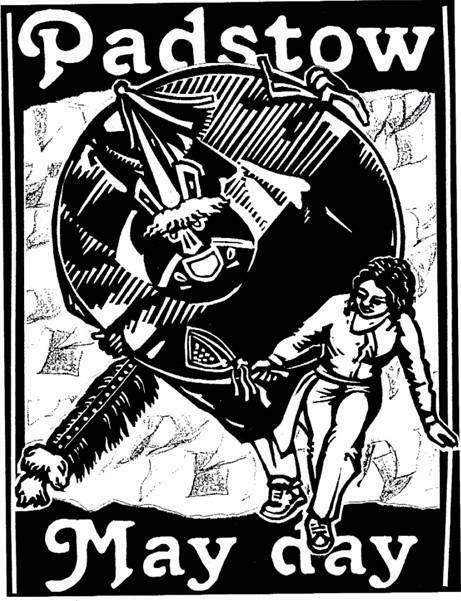 It begins to look as though George may have originally represented the fertile spirit of the Earth itself, the force that lies dormant in the winter and awakens each spring to bring renewed Life. His ‘martyrdom’ is that of the dying god who is resurrected each year, and on whose rebirth we are all dependent. Many centuries after the supposed existence of the Roman St George a new element was grafted onto the myth that turned him into a dragon-slayer. This came about because of a story in Jacobus de Voragine’s The Golden Legend, a compendium of the lives of the saints. Destined to become one of the best-selling books of all time it had a massive influence on the popular psyche, for in those days it was believed that such writings were the results of historical scholarship and not propaganda or mass mind-control through the media, as we might perhaps see it today. 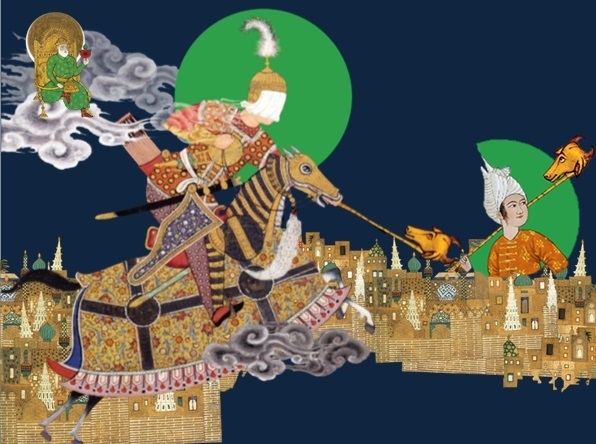 It is today acknowledged that the Templars were deeply immersed in such spiritual quests, as the inheritors of their own native mysticism and also having learnt much from the Sufi masters at the great schools of Persia, the Holy Land and the rest of the Middle East. 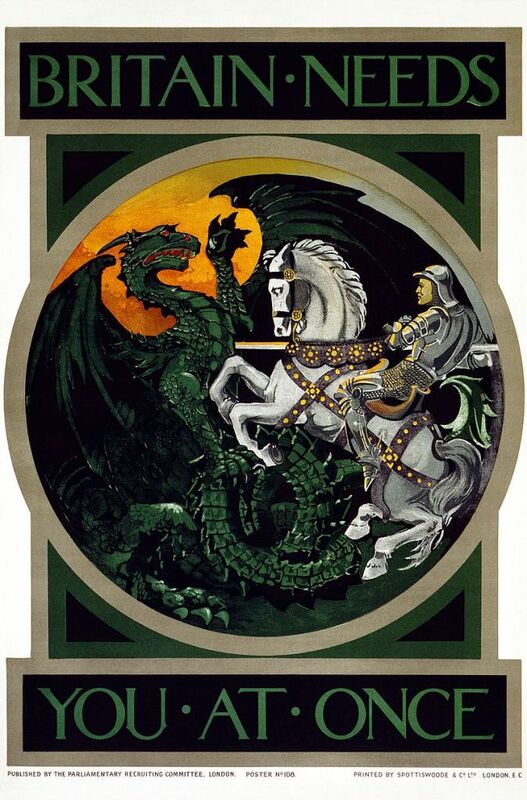 And so in one deft stroke, the archetypal image of St George as a dragon-slayer (that is, an enlightened being taming the spiritual force of the dragon) became a universally-recognisable symbol that was readily adopted by the Templars and their compatriots. It symbolised everything they stood for, and also made a profound statement to initiates that Christianity, Paganism and Islam were all derived from the same spiritual roots, whatever the political machinations of the time. 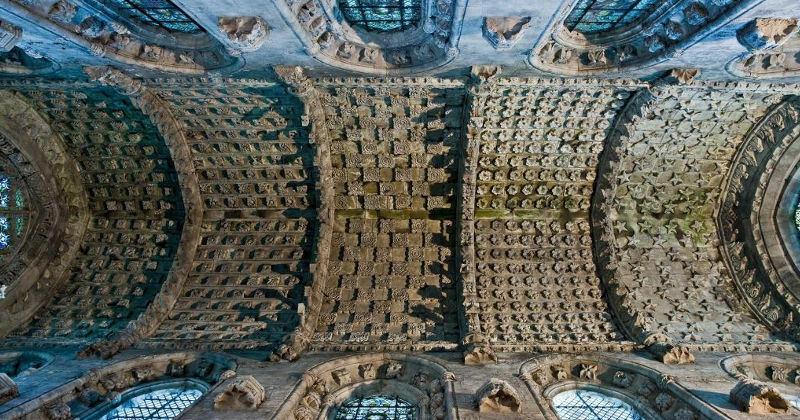 Much of these underground beliefs can be clearly seen in the buildings that were created in the great religious flowering of the 12th and 13th centuries, when a massive leap forward in architectural design accompanied one of the greatest waves of construction in history – the Gothic Revival. 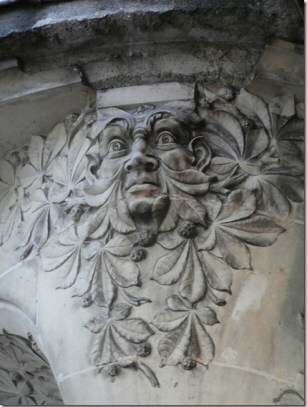 One of the most interesting motifs employed throughout this time was the ubiquitous foliate head known today as The Green Man. 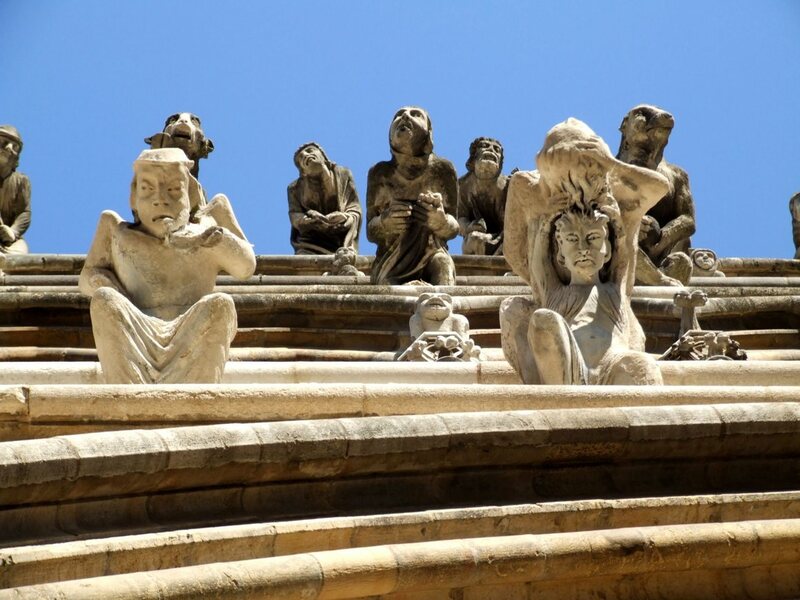 The significance of this image can hardly be overestimated, for throughout European churches and cathedrals it vastly outnumbers images of Christ. 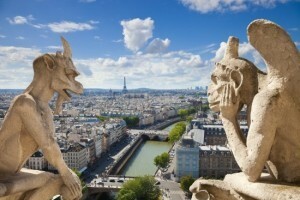 It is arguably the predominant image in ecclesiastical architecture of the period. 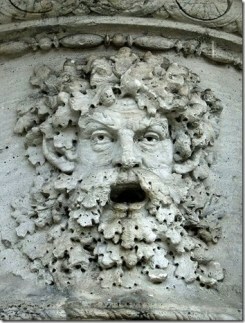 Whilst some maintain it represents little more than the pagan spirit of vegetation, studies of the different styles (sometimes agonising as if in the throes of death, or depicted as a young virile male or even a new-born babe) indicate that it is a direct reference to the dying and rising god of pre-Christianity that was supplanted by the advent of Jesus Christ. 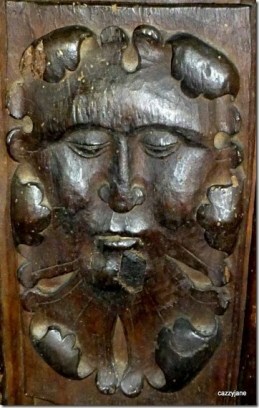 These powerful connections between the Green Man and St George and the Dragon can be seen everywhere when we realise that medieval sculpture was a way of encoding information through the use of symbolic imagery. 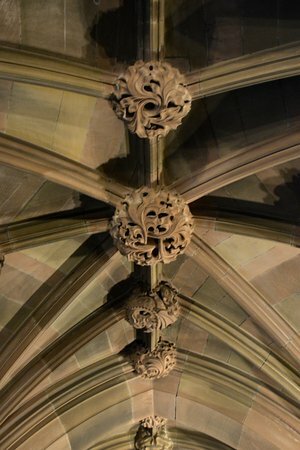 Few seem to have noticed how often these motifs are deliberately linked by those who designed the sculptures. There are literally thousands of examples. 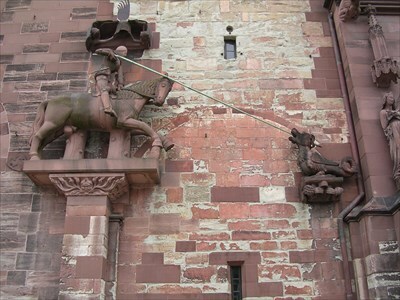 On the outside of Basle Minster in Switzerland is a dramatic representation of St George spearing a Dragon above an ancient doorway; he rises from a pedestal formed by the head of a Green Man. 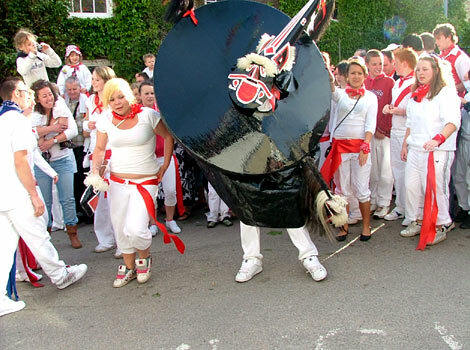 The message could hardly be plainer; the figure of St George on his white horse (a Celtic symbol of the Otherworldly regions) is firmly built upon the foundations of the Green Man; anyone passing through the portal to the Minster beyond is obliged to recognise that the powers of Nature and its cycles of death and rebirth are amongst the most powerful and transformative forces on Earth. 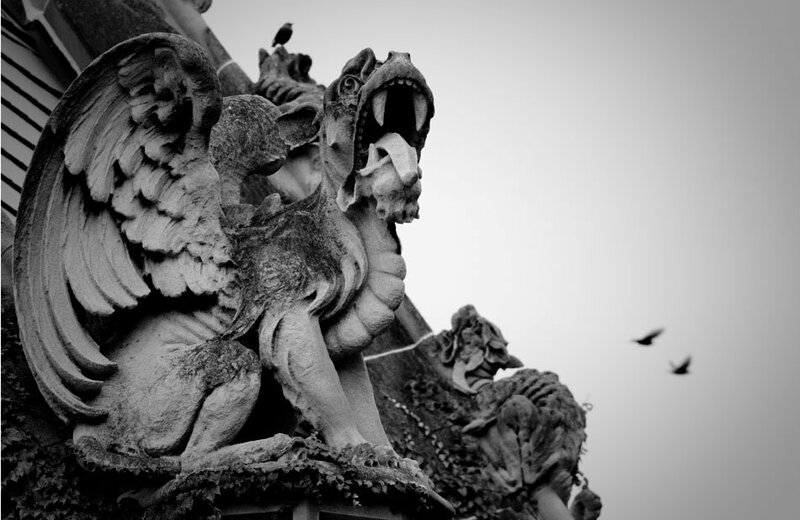 The Dragon, before it was demonised by the medieval Church to promote fear in a last-ditch attempt to destroy the lingering pre-Christian ways, was almost invariably a beneficent symbol of natural power. 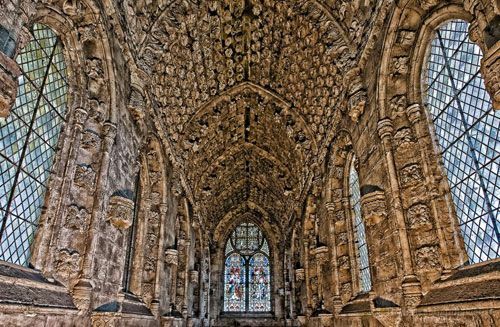 This esoteric understanding of the former Celtic Christian Church in many instances carried over into certain strands of later orthodox Christianity. 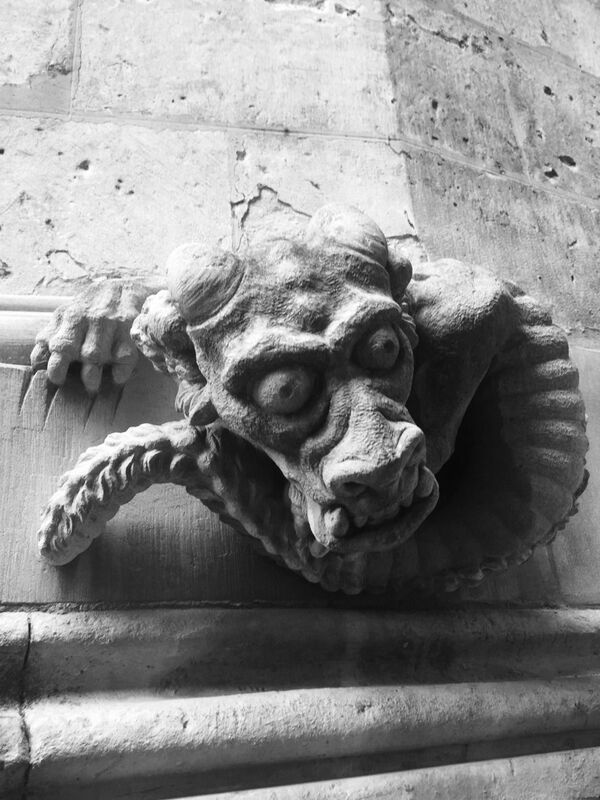 Hundreds of churches and cathedrals have massive dragons carved over their entrances; they guard the site and imbue it with spiritual power. 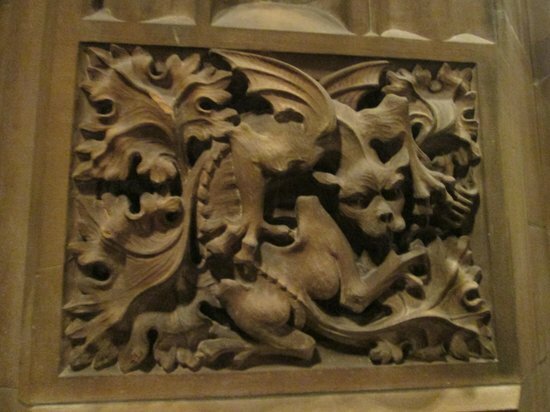 Some examples in Britain are Bristol, Manchester and Lincoln Cathedrals, the latter with a pair of very dramatic and wonderfully carved dragons over the West Door. 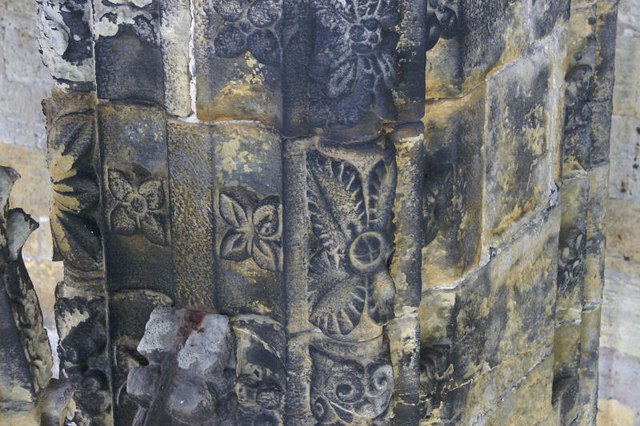 These are the remnants of the original builders’ understanding preserved in stone. The widespread Dragon legends that can be found in every land often refer to the dragons as dangerous and a threat to the local inhabitants; however, on examination one can clearly discern how much older legends have been adapted by Church propaganda to bring people under their control and inculcate fear of the old ways. 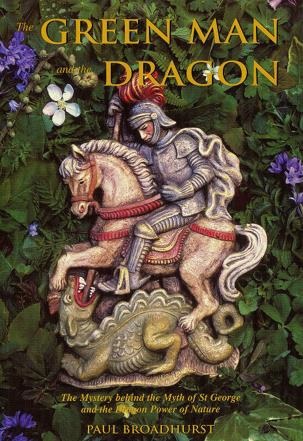 Those legends that still preserve the true, original flavour of these stories which come echoing down from prehistory frequently tell how the saint or holy man does not slay the dragon, but tames it through the power of prayer or magic. Some, like the Druid-like St Samson of Cornwall, even lived in the dragon’s lair so that they could experience the natural power of the place so recently vacated by the beast itself. 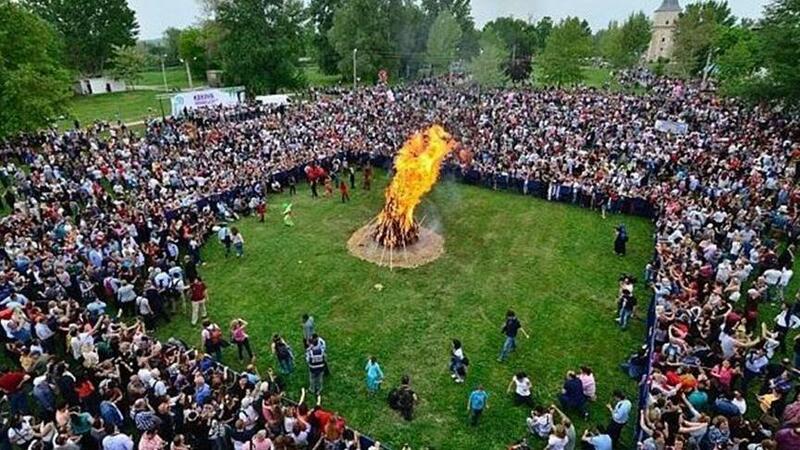 Many ancient festivals still have dragons as their central focus; wild, cavorting figures around which the local people dance with dervish-like energy. 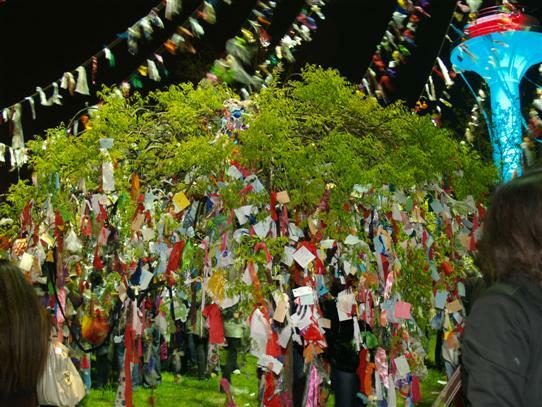 To this day one can still sense the sheer vivacity of such proceedings, and the genuine spirit of celebration at the rebirth of the spring god of fertility. 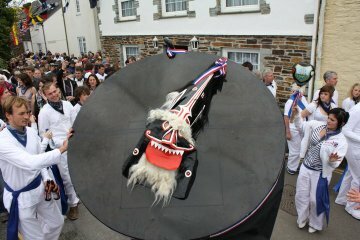 The ‘Oss’, it has to be said, looks far more like a dragon than a horse, and of course St George, as the spirit of renewal, is a central figure in this and many other such celebrations. 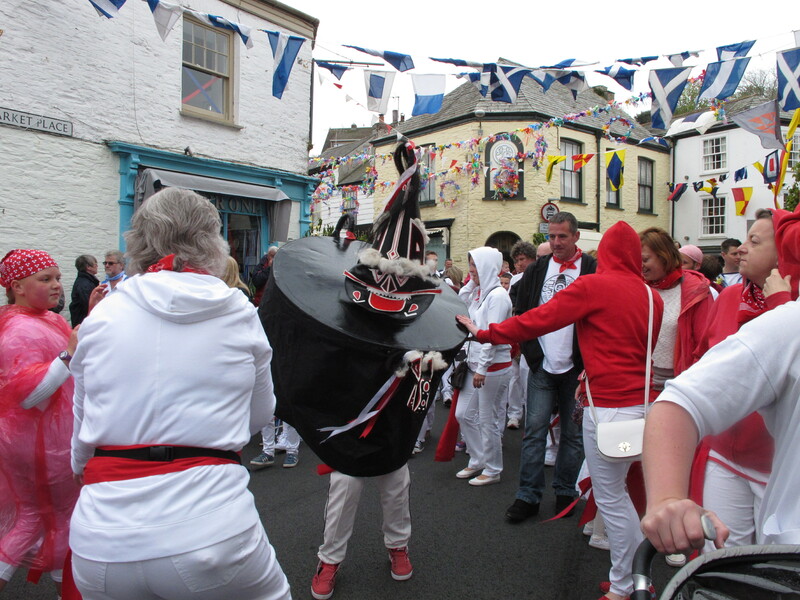 At Padstow he ritually ‘dies’ accompanied by an emotionally-charged and mournful song before suddenly the Oss suddenly leaps up, reborn at the same moment as St George. 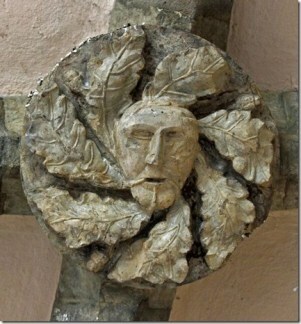 Whilst the links between the Green Man and St George and the Dragon can be shown throughout the rituals of a bygone era, they can also be seen preserved in stone and wood in churches in both the West and East, where St George is often called by his Arabic name of al Khidr, literally The Green One. 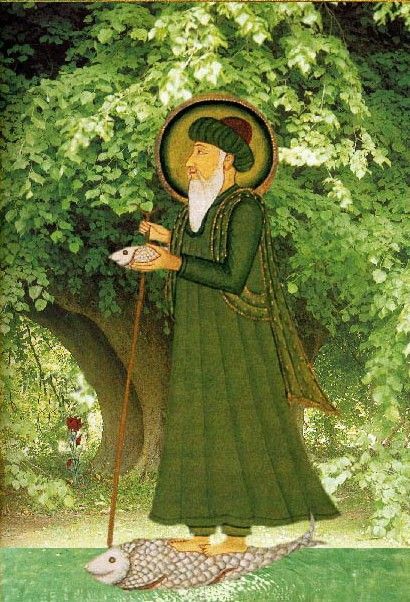 In Islamic tradition he leaves green footprints in the desert and appears spontaneously to those who earnestly seek spiritual guidance. The years spent by the Templars in the Holy Land, where they are known to have had intimate contacts with their Arabic counterparts, must have given them many further insights into the mystery. They soon adopted George as their patron saint, who, according to their own accounts, often appeared as a shining figure leading them to victory. They were convinced that it was through the saint’s intercession that Richard the Lionheart won the Battle of Acre, and they wore a blue garter as a symbol of brotherhood, as was practised in the Sufic tradition. This was the origin of the Knights of the Noble Order of the Garter, which carried the mystical stream of thought right to the heart of European society, where it blended seamlessly with the Arthurian mythos and the quest for enlightenment. 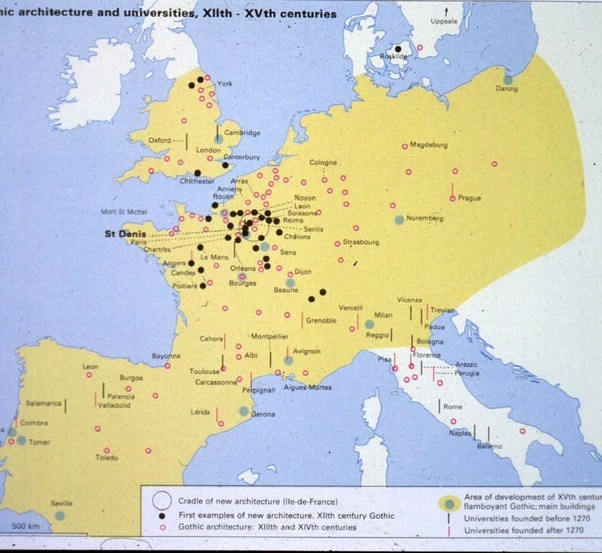 The returning Crusaders, and especially the Templars and their associated societies and brotherhoods, were instrumental in reinvigorating the religious impulse after the depredations of war and pestilence that had swept across Europe in the preceding centuries. A new vision was materialising, a revival of the eternal truths behind all religions. 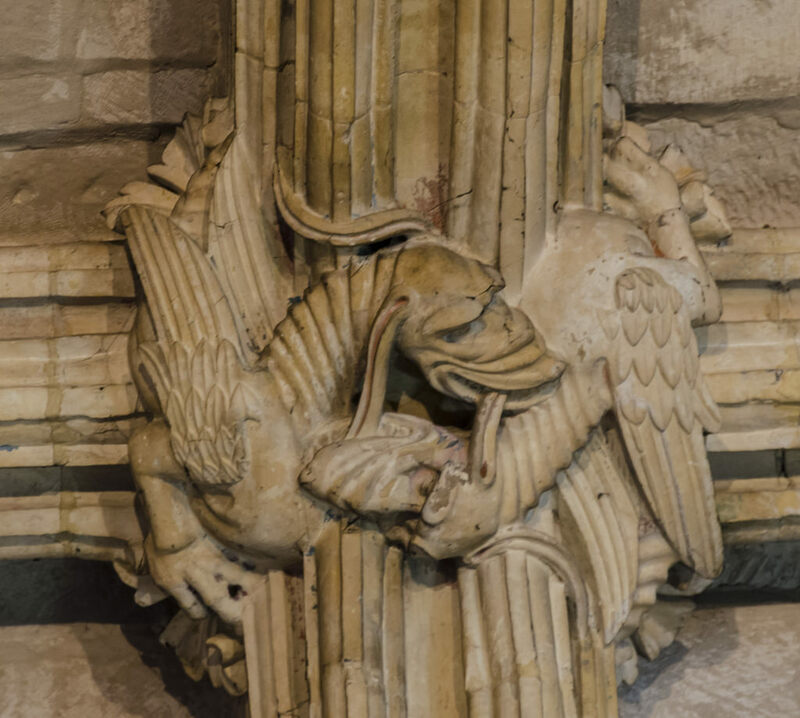 The incorporation of the Byzantine arch in the new Gothic architecture, the prevalence of the Green Man prominently displayed in churches and cathedrals and their knowledge of the true power of the Dragon was a powerful statement of the unity behind the various traditions. And because the Templars had become so wealthy and influential (which they must have thought at least partially due to their association with St George) they could leave messages for the future. These messages can still be seen today, wherever they have survived the neglect or changing fashions of later centuries. 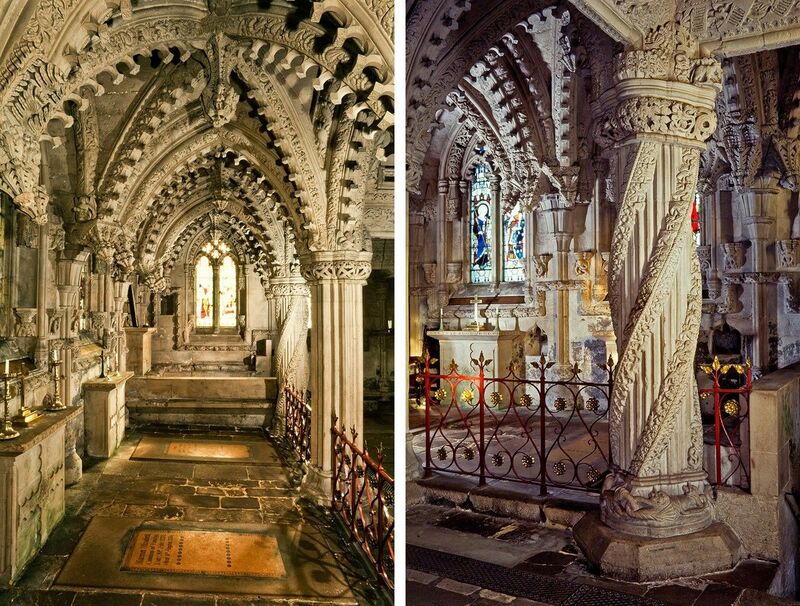 One such place that has become a focus of attention due to the newfound interest in the mystical traditions of Templarism is Rosslyn Chapel, near Edinburgh. 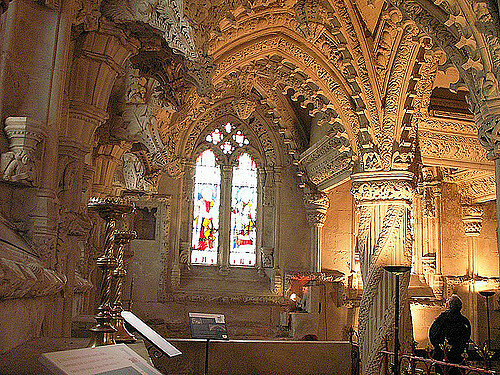 This ‘arcane library of secrets’ is literally covered in carvings that preserve in stone the wisdom of their beliefs, each symbol having been personally chosen by its builder the Grand Master William St Clair. 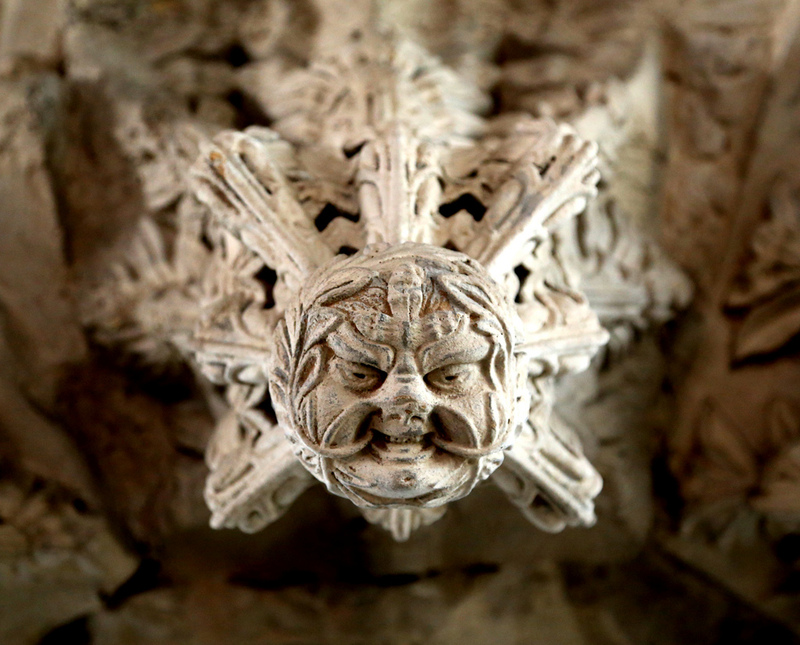 Observers have noted that there are hundreds of Green Men adorning the chapel (but only one image of Christ). Yet what is equally intriguing is that there is also a fantastic collection of ‘Green Dragons’; with foliage spilling out of their mouths just like their more human counterparts. 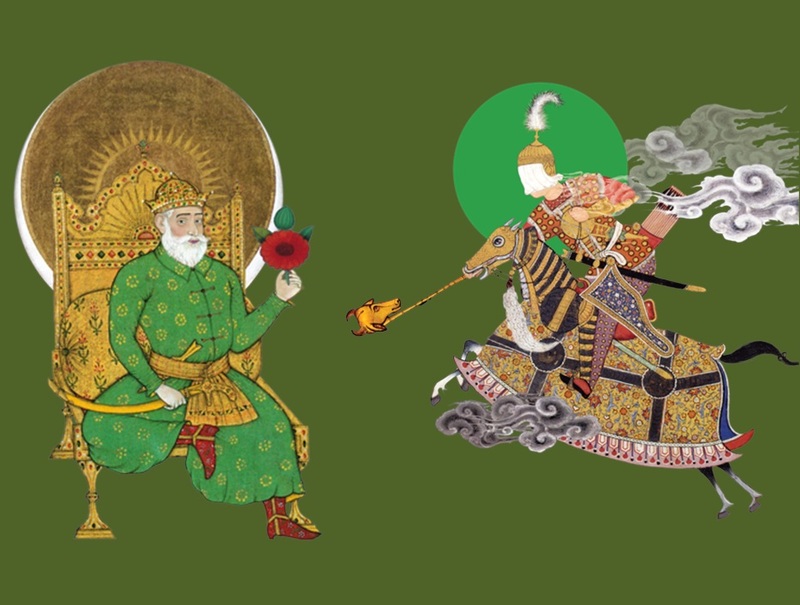 Many of these Green Men and Dragons are directly linked together, as if they both represent different aspects of the same force of Nature. 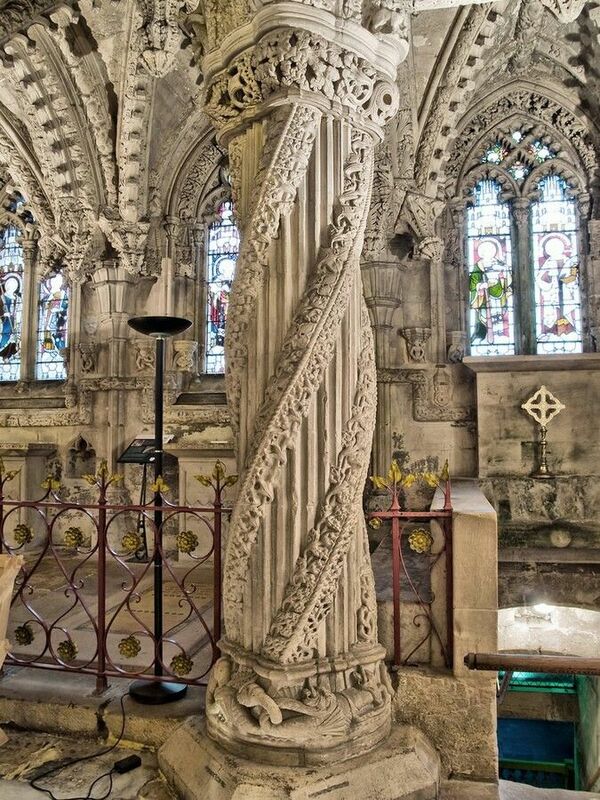 The famous ‘Apprentice Pillar’ has four intertwined Dragons at its base, with intricate spirals of foliage rising upwards. Many believe that this pillar represents the Tree of Life that links Heaven and Earth. 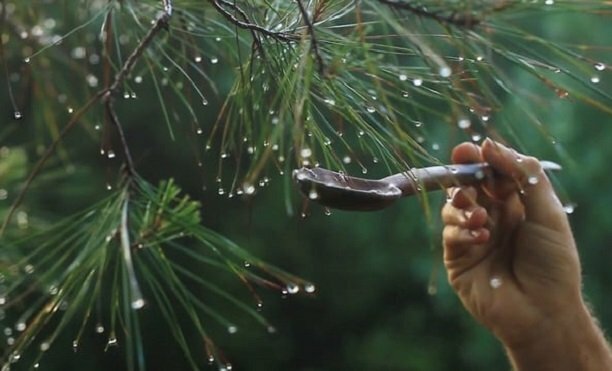 If so, then the foundations of the Tree of Life are rooted in the Dragon power of Nature, with its endless rhythms determined by the seasonal nature of the dying and rising vegetation god. 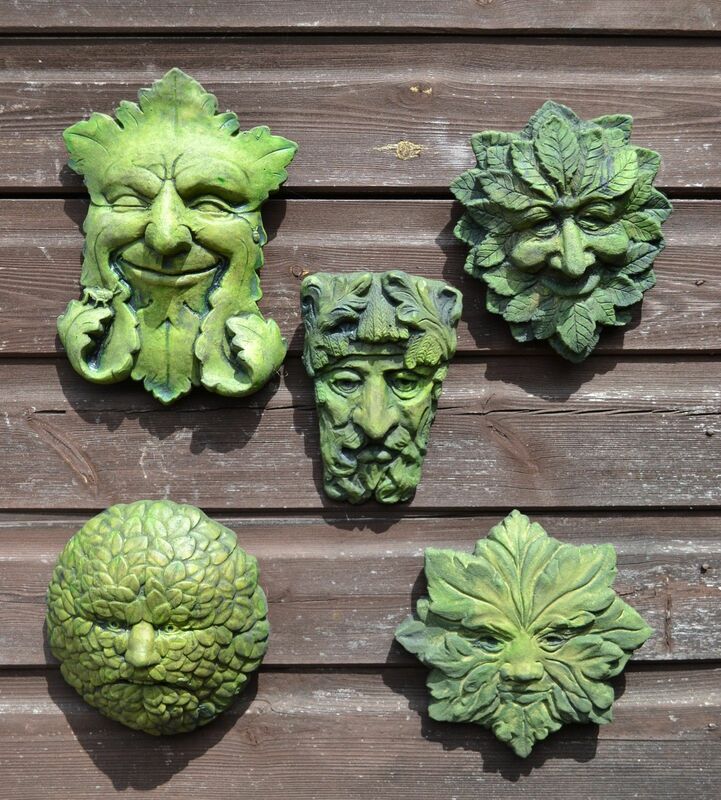 But just as the Green Man must die to be resurrected anew, the mystical adepts who laid all these images before us knew that the enlightened individual must also be reborn in like fashion. 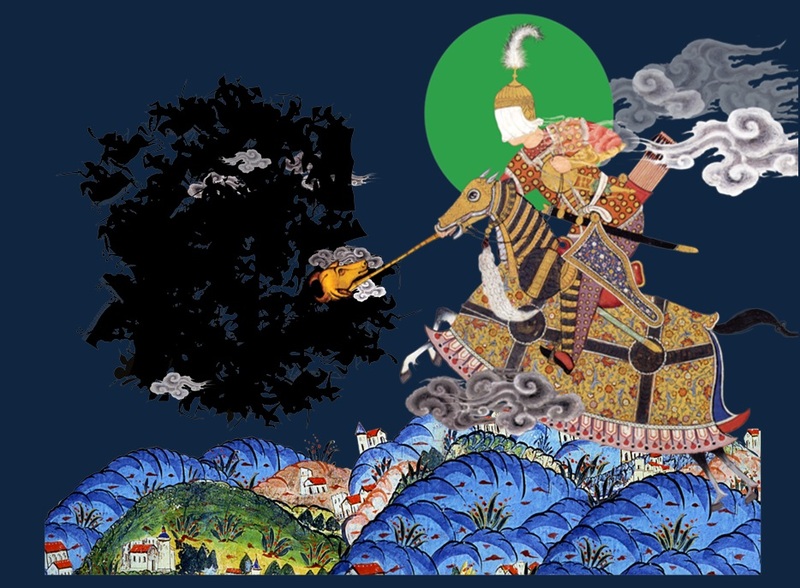 From this perspective, St George is in a sense each and every one of us, taming our dragons so we can aspire to the full consciousness of Nature and its eternal mysteries. it describes how Sir Gawain, a knight of King Arthur’s Round Table, accepts a challenge from a mysterious “Green Knight” who challenges any knight to strike him with his axe if he will take a return blow in a year and a day. 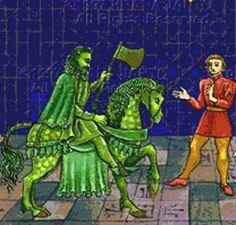 Gawain accepts and beheads him with his blow, at which the Green Knight stands up, picks up his head and reminds Gawain of the appointed time. In his struggles to keep his bargain, Gawain demonstrates chivalry and loyalty until his honour is called into question by a test involving Lady Bertilak, the lady of the Green Knight’s castle. 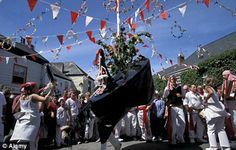 Poet Simon Armitage goes on the trail of one of the jewels in the crown of British poetry, Sir Gawain and the Green Knight, written about 600 years ago by an unknown author. The poem has got just about everything – it is an action-packed adventure, a ghost story, a steamy romance, a morality tale and the world’s first eco-poem. Armitage follows in the footsteps of the poem’s hero, Gawain, through some of Britain’s most beautiful and mystical landscapes and reveals why an absurd tale of a knight beheading a green giant is as relevant and compelling today as when it was written.